Last night James and I had to make a Home Depot run, we needed some supplies for our rental unit. Like I do every time I'm at the Depot, I meander to the garden section while James does the real shopping. 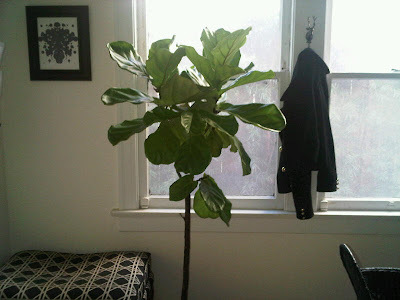 Every so often they have fiddle leaf fig trees (fycus lyrata) but usually the good ones are gone or were never there. I tend to like the trees with one large stem, bushy on the top and dark green leaves. 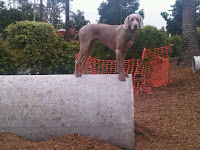 Well last night I was excited to see one the perfect size for my office- not too big, not too small. Only thing I have to say is the leaves need to get more green but I think the little guy hasn't had water in a while. Love how it looks in my office! I can feel the fresh oxygen right now! Oh, almost forgot to let you know the price, $15. It's like they're giving them away!